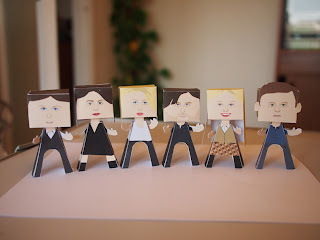 These paper people are from TV series Lip Service, the paper toys are designed by sally. Lip Service is a British television serial drama portraying the lives of a group of lesbians living in Glasgow, Scotland. Production on the show, which stars Laura Fraser, Ruta Gedmintas and Fiona Button, began in summer 2009 in Glasgow.